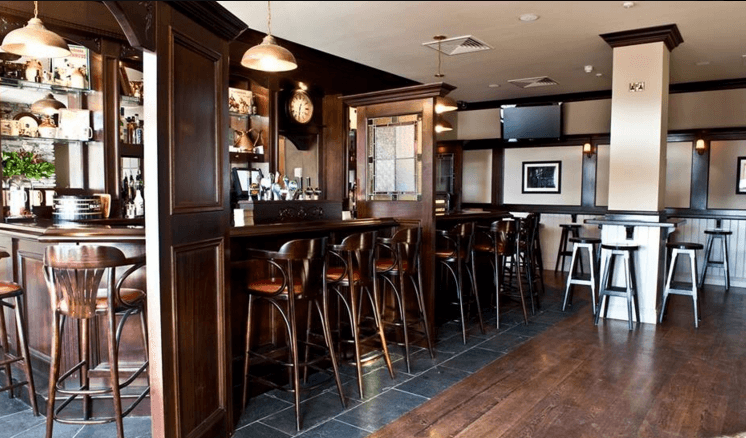 The Brown Bear Bar & Restaurant is situated in the beautiful little village of Two Mile House, falls between the towns of Naas, Kilcullen & Newbridge in Co. Kildare. It got its name from a coach house (no longer with us) on the Naas Kilcullen main road dating back to 1752. The bar is built in a traditional style while therestaurant has a classic look, designed with comfort in mind to allow you to relax and chat after a beautiful meal. At night the bar becomes the hub of the village where locals stop in to have a pint after a day’s work.